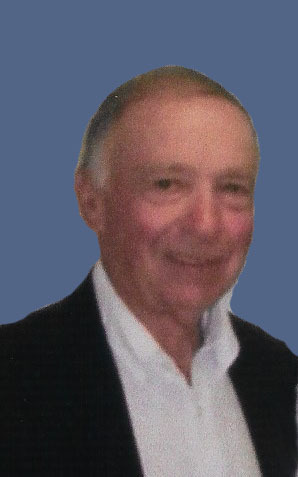 Donald Lewis Obituary - Mifflintown, Pennsylvania | Brown Funeral Homes, Inc. The Memorial Candle Program has been designed to help offset the costs associated with the hosting this Tribute Website in perpetuity. Through the lighting of a memorial candle, your thoughtful gesture will be recorded in the Book of Memories and the proceeds will go directly towards helping ensure that the family and friends of Donald Lewis can continue to memorialize, re-visit, interact with each other and enhance this tribute for future generations. Donald L. Lewis, 86, of Mifflintown, passed away at 12:19 a.m. on Thursday, March 22, 2018 in the Emergency Room of the Geisinger-Lewistown Hospital. Born on November 5, 1931 in Milford Township, Juniata County, he was a son of the late Albert R. and Mary F. (Bossinger) Lewis. His first wife Maizie M. (Makibbin) Lewis preceded him in death on July 23, 1993 and his second wife Pauline J. “Polly” (Snyder) Lewis preceded him in death on February 2, 2010. Surviving are; a son, Dr. Michael E. Lewis and his wife Toie, of Reedsville, a sister, Judy Snook and her husband Robert, of Lewistown also 2 grandchildren, Carly R. Mohr and Alexander M. Lewis and his wife, Lauren. Mr. Lewis was a 1949 graduate of Juniata Joint High School, Mifflintown and a proud Korean War veteran of the U.S. Army, after which he served in the U.S. Army reserves for nine years. He was a member of the Messiah Lutheran Church, the American Legion Post No. 298, the Crawford-Brubaker VFW Post No. 5863, all of Mifflintown and the Juniata County Veterans Council where he served with the council on the military burial detail. His career which spanned over forty-four years began with the United Telephone Company as an Installer and later he retired from Sprint Telephone Company as a Lineman. A memorial service will be held at 11 a.m. on Saturday, April 7, 2018 from the Messiah Lutheran Church, Mifflintown with the Rev. Chris Mathiason officiating. Interment will be private and in the Stephen’s Lutheran Cemetery, Licking Creek where the Juniata County Veterans Council will accord full military burial honors. Memorial contributions in Mr. Lewis’s memory may be made to the Messiah Lutheran Church, 3 South Third St., Mifflintown, PA 17059. For online condolences and tributes, please visit www.brownfuneralhomesinc.com. To send flowers to the family of Donald L. Lewis, please visit our Heartfelt Sympathies Store.